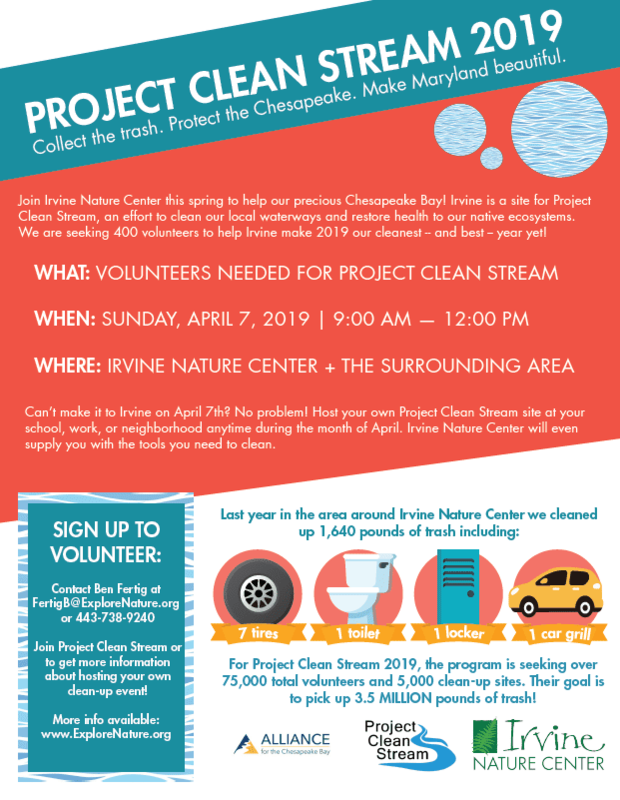 You can pick up trash at Irvine’s event on April 7, 2019 or start your own event and become a Site Captain. Irvine and other partner organizations determine clean-up locations and recruit Site Captains to help lead the clean up effort. Site Captains pick up the clean up supplies (provided) at a meeting (one is held here at Irvine 2 weeks prior Project Clean Stream). Site Captains manage their site’s volunteers for the day. Site Captains send the cleanup results (# of volunteers, pounds of trash cleaned, etc.) to the Alliance for the Chesapeake Bay. 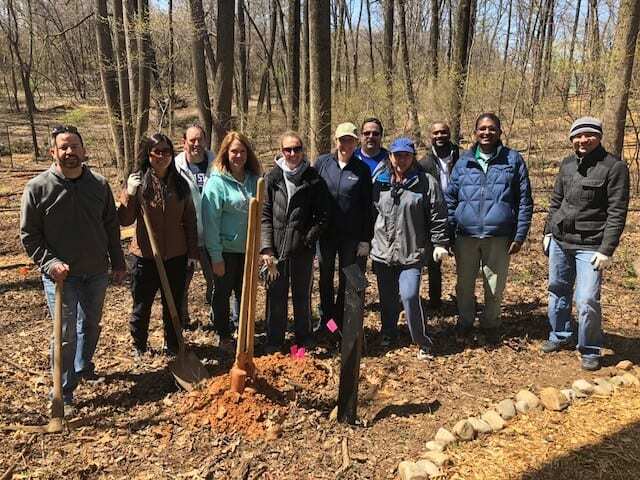 For more information on Project Clean Stream, contact FertigB@explorenature.org at 443-738-9240.